Hello Charlotte - Canine Halloween Hiking & Wine Tasting Tour & Costume Contest! 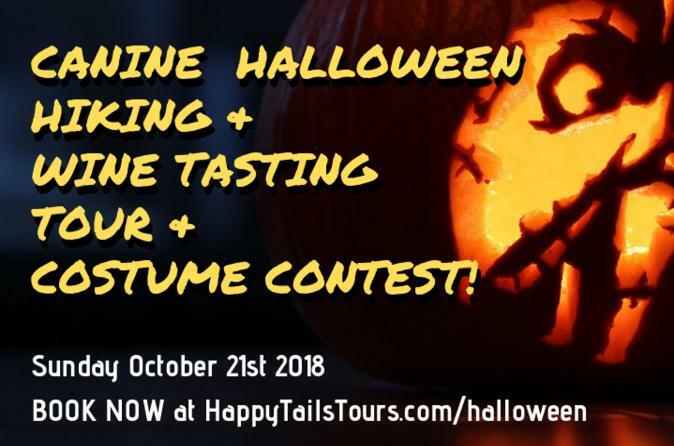 Canine Halloween Hiking & Wine Tasting Tour & Costume Contest! Canine Halloween Hiking & Wine Tasting Tour& Costume Contest! Start the day with a morning of HORRIFYING (not really) hiking with your pups with breathtaking views of Winston-Salem and the surrounding Yadkin Valley, just named amongst the top 10 wine regions in the USA. Hike SURVIVORS will then proceed to RagApple Lassie, one of Yadkin Valley’s most dog-friendly and award-winning wineries, for a fantastic picnic lunch, a wine tasting, and our HOWL-O-WIN Costume Competition. Next, we visit another award-winning and super dog-friendly winery, Misty Creek, for dessert, another wine tasting, and the awarding of the contest prizes.